Collaborating with amazing women is pretty much my favorite thing to do EVER, so when the Puddletown Knitting Guild suggested that my fiber bestie and I create a KAL project for their group, I squealed out loud. 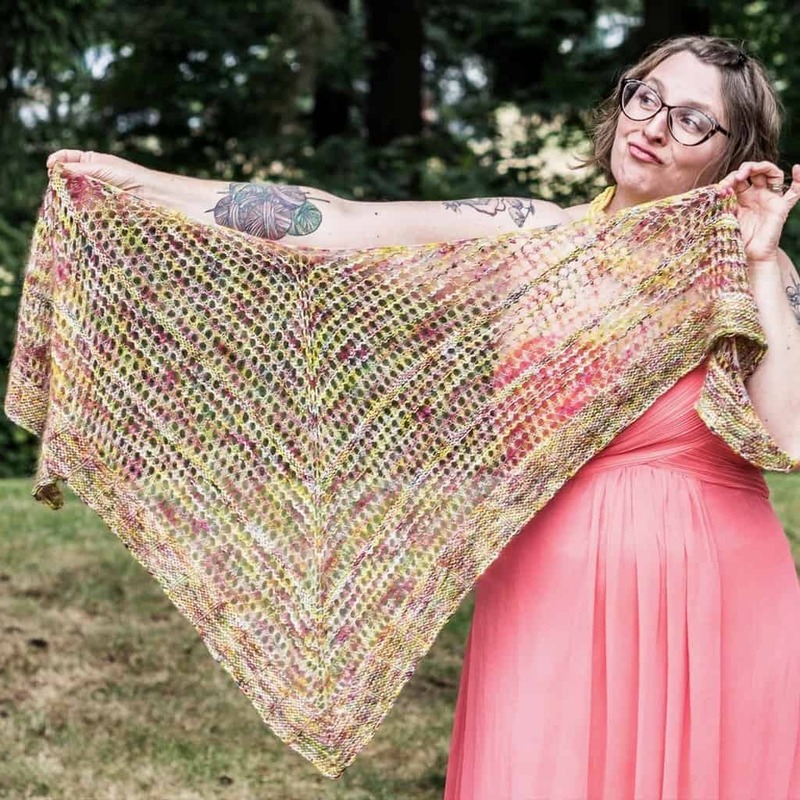 Being able to create a fun and airy summertime shawl project pairing Knitted Wit’s newest Fairy Floss with my favorite yarn ever, Victory Sock, was a dream come true. 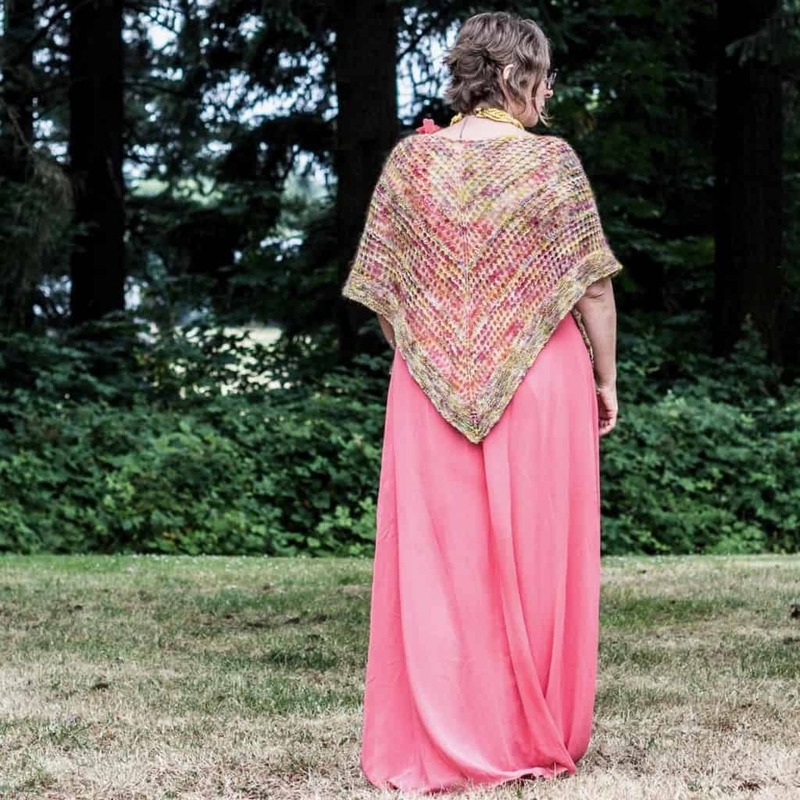 The result is a top-down triangular shawl with simple mesh lace, because that’s my summertime jam. Made to showcase the textural play between lace-weight mohair and sock yarn in the same magical colorway. Big bonus: I’m wearing this to Yarn Prom! Finished Measurements: 72″/183 cm wide, 32″/81 cm deep at center. Needles: US4/3.5mm (or size to obtain gauge) for flat knitting. Gauge: 24 sts = 4″/10 cm in Textured Stitch in the round, measured after blocking.